"33" on negative. Detroit Publishing Co. no. 05544. YACHTS AGAIN IN A FIZZLE; No Race, but Collisions Furnish Excitement for Enthusiasts. NEWPORT, R.I., Oct. 12. 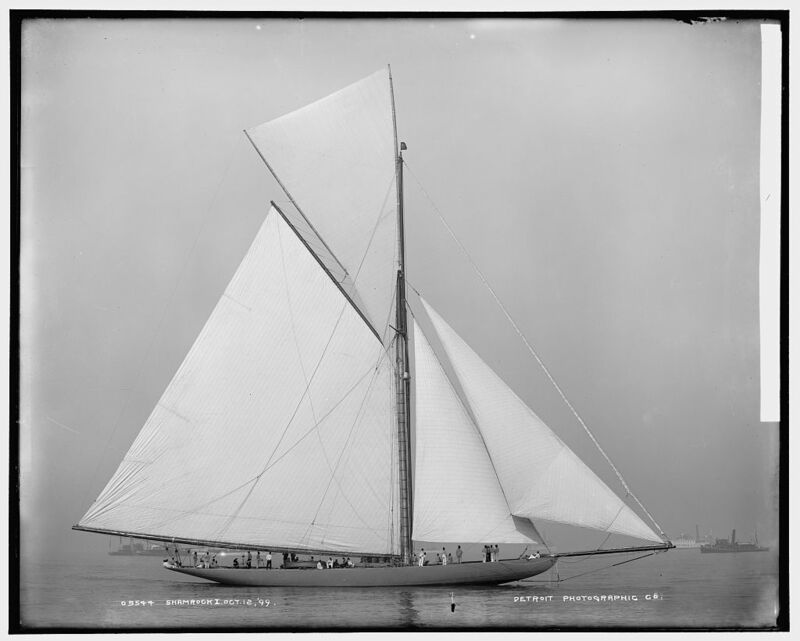 -- The two racers drifted helplessly with their mainsails, , jibs, and hanging up and down like sheets of paper on file. The Shamrock was prepared for the lightest possible weather. She had on a club-topsail which she had not shown before.